Alumna Sher Chew is currently working as the personal designer and art director of John Johnson of the Johnson Family, where she oversees the design and art direction of his various pursuits. Her clients include non-profits Eyebeam, The Screenwriter’s Colony, The Almanack Arts Colony and Harmony Institute. She also does branding work for his eco-hotel in Costa Rica and is enrolled in the Type@Cooper Extended Program, where she is learning how to design her own typeface. 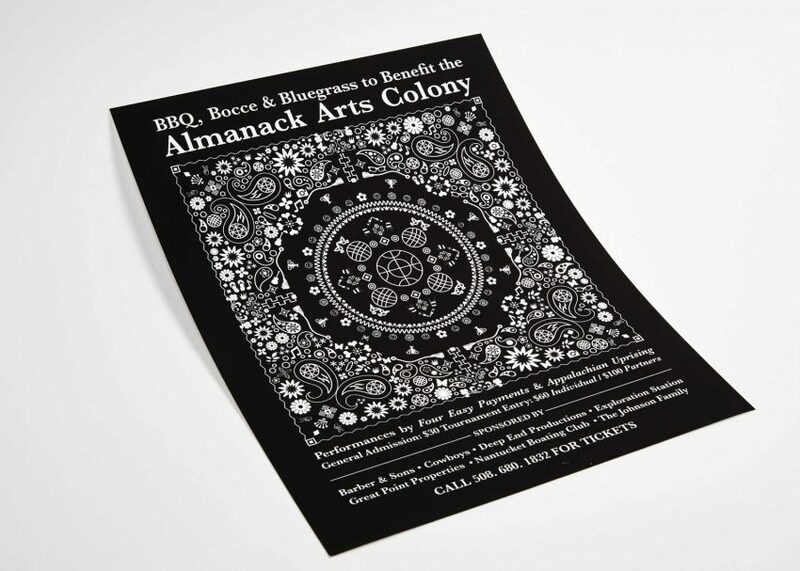 Bocce, BBQ & Bluegrass (2015) Poster and limited edition silkscreen bandana for the Almanack Arts Colony’s annual “Bocce, BBQ & Bluegrass Benefit Tournament”. “The Future of Publishing” taught by Juliette Cezzar. Eyebeam Auction Catalog (2015) 5 x 7″ Saddled-stitched catalog. Made for Eyebeam’s first ever auction and holiday party in collaboration with Paddle 8, with corresponding digital invite. To worry less and to relinquish the need to control everything. Every expectation that I had about post-graduate life was completely upended within a year. Life has its way of working itself out. The future is nothing to be afraid of. Corpus in Tandem | Jon Max Goh (2015) 8 x 5″ Sewn bound book with cloth hardcover. A visual discourse of the body as identity. Created in collaboration with Flora Chan, Jon Max Goh & Z.
Ros Knopov and Graydon Kolk of ANTI/ANTI (@antiantistudio). They are my design family and the first studio I ever interned at in New York. I visit them frequently to seek advice and feedback on my work. Their constant encouragement and mentorship over the years have been instrumental in shaping the way I think about design and how I conduct my practice. Juliette Cezzar (@juliettecezzar), Kevin Brainard (@kevinbrainard), William Bevington (@chaackmusic) and Luke Bulman (@lb_office) are all mentor figures whom I deeply respect as well. J.S. Johnson Investments Pt 2. (2015) Typographic identity system represented in the form of two 24 x 36” posters. 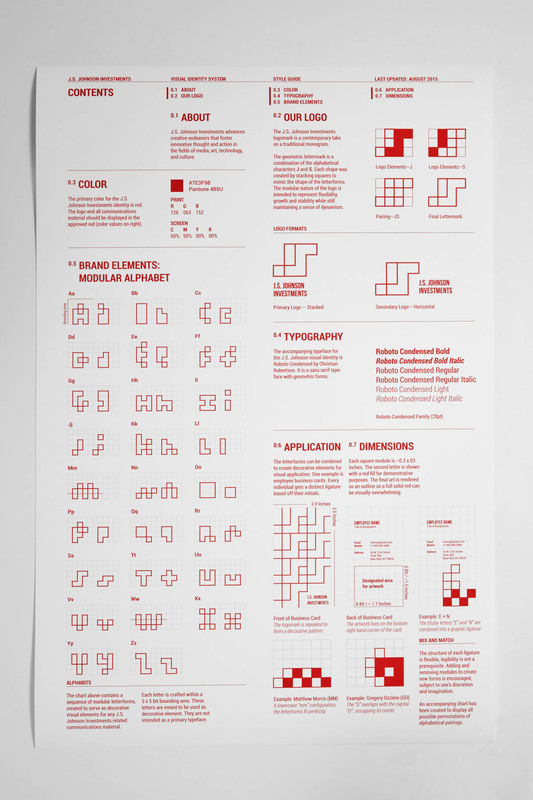 1: Brand guidelines & modular alphabet. 2: Alphabetical permutations. Being able to spearhead the rebranding of Harmony Institute (An Independent Applied Research Lab) where I first worked in-house as my first job.